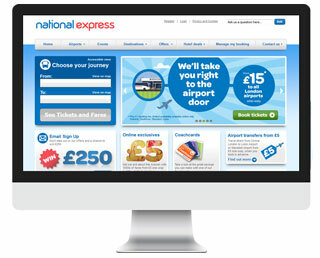 Buy your Birmingham High St coach ticket from National Express and get superb value coach seats from just �? with the UK's best coach company and if you're travelling off-peak and you're over 60 then you can get 1/3 off your coach ticket from Birmingham High St, and 30% discount at peak times. Starting out from Birmingham High St you can reach over one thousand destinations in the UK. National Express coaches have a number of ways to save £££s on your coach trip.